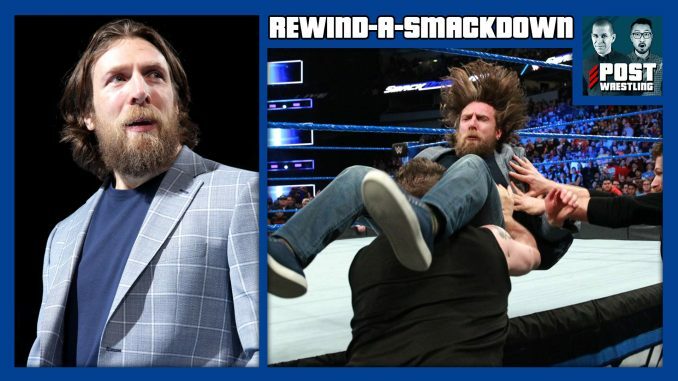 Daniel Bryan announces his return to in-ring competition and gets physical in a WWE ring for the first time in nearly 3 years; Sami Zayn and Kevin Owens are punished for their attack on Shane McMahon; Charlotte vs. Natalya is interrupted by a MITB cash-in. Team Little Big (Alexa Bliss & Braun Strowman) takes on Miz & Asuka in the Mixed Match Challenge, the 2nd Chance Vote winners are announced, and 205 Live sees Mustapha Ali vs. Drew Gulak to determine who will face Cedric Alexander at WrestleMania. Charlie Ebersol announces the launch of a football league to rival Vince McMahon’s XFL. Plus, Café feedback to the show from the POST Wrestling Forum.